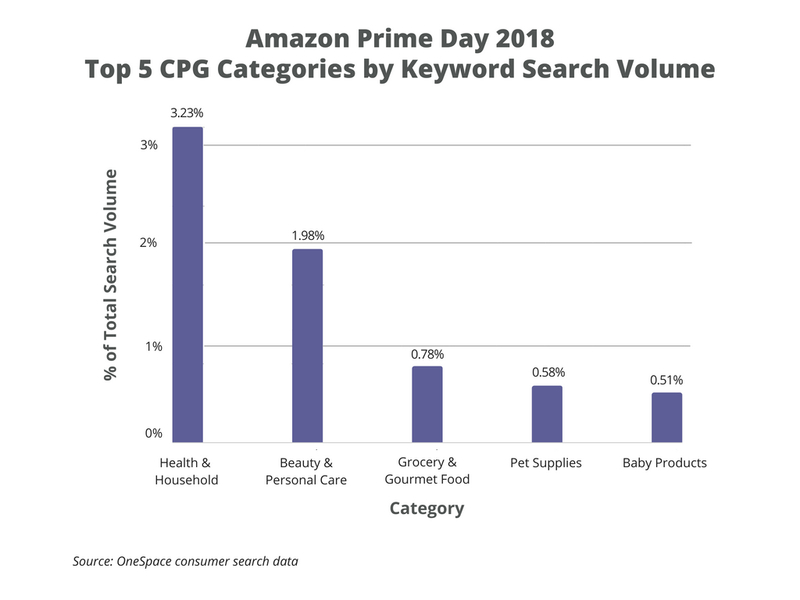 While a majority of the searches performed on Amazon during its 36-hour Prime Day event were for products in categories like Electronics and Appliances, over 7 percent fell into popular CPG categories such as Health & Household and Beauty & Personal Care. This represents a significant opportunity for FMCG brands that may have previously disregarded the shopping holiday as an event designed for doorbusters on products like televisions, refrigerators and video game consoles. 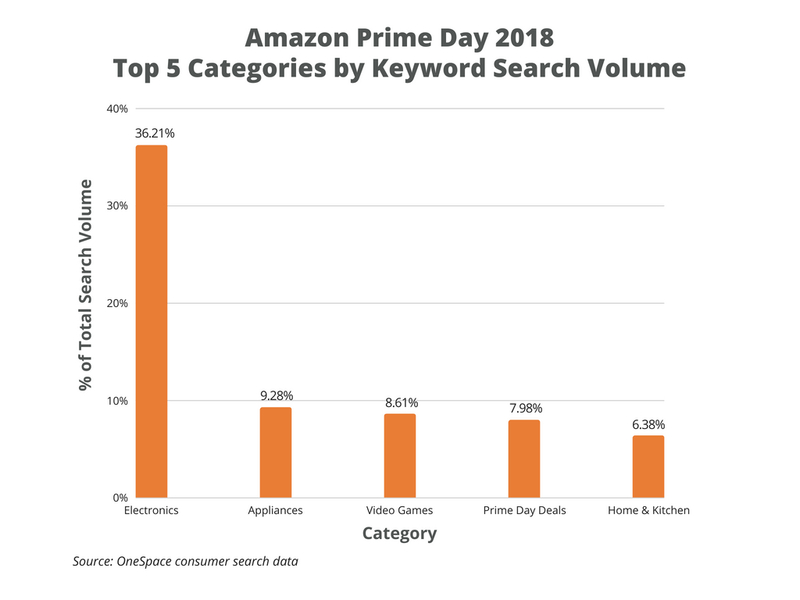 According to OneSpace’s analysis of the top 500 search terms on Amazon during Prime Day 2018, Electronics was by far the most popular category, accounting for 36.2 percent of total search volume. In second place was Appliances with 9.3 percent, followed by Video Games with 8.6 percent. The most searched-for products were the Nintendo Switch, the Instant Pot, laptops, headphones, TVs and Fitbits. But not everyone who shopped on Prime Day was searching for kitchen appliances or fitness trackers. Our analysis found that over 7 percent of the searches that occurred on Amazon during the shopping event were for CPG products. Health & Household was the most popular CPG category, accounting for 3.23 percent of total search volume. In second place was Beauty & Personal Care with 1.98 percent, followed by Grocery & Gourmet food with close to 1%. The most searched-for CPG products included toilet paper, paper towels, essential oils, makeup, coffee and protein powder. While these figures may seem low compared to Electronics and Appliances, they represent a growing opportunity for brands in the CPG space. According to Wedbush Securities Inc. analyst Michael Pachter, shoppers spent an estimated $4.2 billion during Prime Day 2018, an increase of 33 percent from last year. The fastest-growing categories include pet products, groceries and beauty. This increase in Prime Day CPG spending is no coincidence and directly corresponds with Amazon’s efforts to dominate this segment of the market. This was the company’s first Prime Day since its acquisition of Whole Foods in August 2017, and it used the opportunity to push several deals on grocery and household items both online and in stores. Prime members who spent $10 at Whole Foods stores from July 11 to July 17, for example, received a $10 Amazon credit to use on Prime Day. So how can CPG brands develop effective Prime Day marketing strategies? The first step is to understand exactly how consumers search for and purchase your products during Prime Day. Which of your products do consumers search for the most? How often do they search for your brand compared to competitors? Which search terms drive the most traffic to your product listings, and how often do shoppers convert once they get there? Once you have access to these insights, it’s easy to predict which products and which marketing campaigns are going to drive the best results on Prime Day. When it comes to Amazon PPC ads, for example, consider creating a dedicated campaign for the shopping holiday based on your brand’s best-performing keywords from previous Prime Days. 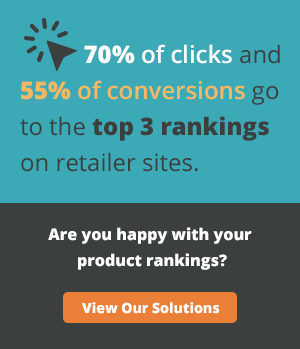 Run deals and discounts on the products for which you rank high in search results for popular keywords but have increased competition, and focus your content optimization efforts on the listings that have high click-through but poor conversion rates. These are just a few of the ways consumer search insights can help you create a well-informed Prime Day marketing strategy. For more ideas, contact OneSpace’s team of e-commerce experts.